Kate Beaton, cartoonist behind the hilarious webcomic "Hark! 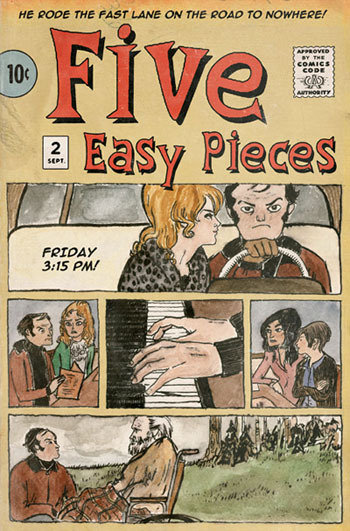 A Vagrant," has posted her drawing for the All Tomorrow's Parties screening of the Bob Rafelson-helmed Jack Nicholson vehicle Five Easy Pieces. 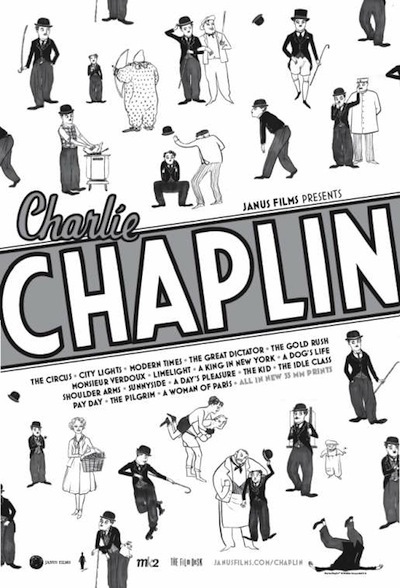 Folks may also remember Kate is the artist of that absolutely stunning Charlie Chaplin poster made to promote the Janus roadshow currently going around. You definitely want to add Kate to your reader feed. Her comics are hysterical and smart. They are a favorite of mine.